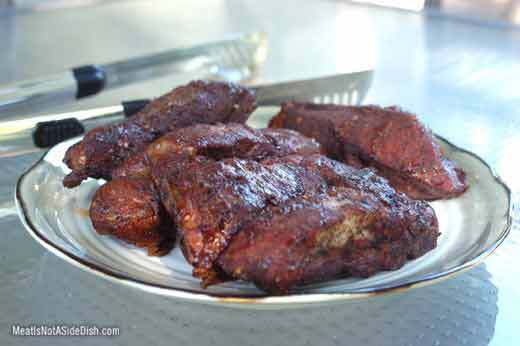 Saturday I smoked pork rib loins and if you set aside 3-4 hours of your day and follow my directions, you can get the same results that I got … delicious, mouth watering ribs. I started by preheating the smoker – I used a vertical water smoker with charcoal as fuel. I then wrapped hickory wood chips (dry) in aluminum foil, which I cut holes in to help release the smoke. Once the smoker was lit, I placed the wrapped wood chips directly on to the charcoal. Next, I prepared the rub. In general, this is such an easy step when grilling, that you may want to start a collection of containers that hold your leftover rubs that weren’t used. I used this tasty rib rub recipe. 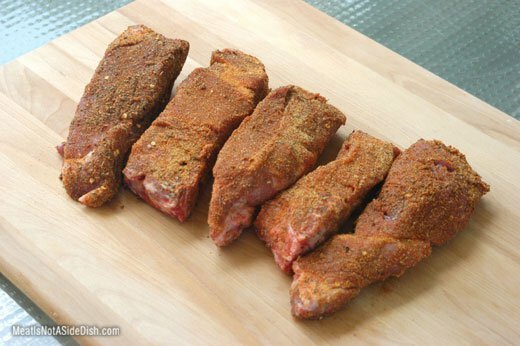 Using the rub, all sides of the ribs were coated evenly. I decided on smoking these ribs “dry”, without any sauce or oil. Once an adequate temperature with my smoker was acquired, I placed the ribs directly over the water bowl, this helped to keep the drippings from falling on the ground or into the charcoal. 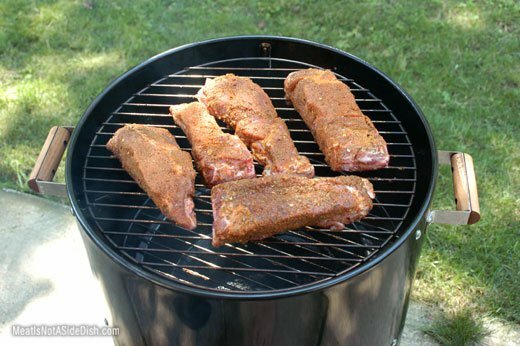 You can smoke the ribs for 2.5 to 3 hours or until the internal rib temperature is at least 160F degrees. Overall, I maintained a temperature of 225 – 235 degrees the entire time and according to my wife, they looked and tasted like restaurant quality! Note: We used our own personal favorite BBQ sauce for dipping on the side.